I grew up near Boston and enjoyed the ethnic communities with all the different lifestyles, foods, traditions, etc. I’m a Jew and I went to school with many Italians. For the most part, we all got along very well. Not so much, the history of Jews and Gentiles. In fact, if one was to do historical research, they would find a rift as deep as the Grand Canyon that separated Jews and Gentiles by the time the first century rolled around. I won’t explain it all here but suffice to say – when a Jew saw a Gentile coming they would literally cross the street to avoid this “lower than life” species. Even on the Temple Mount there was a wall that separated the Jewish and Gentile worshippers. Along comes Peter (a Jew) and Cornelius (an Italian). 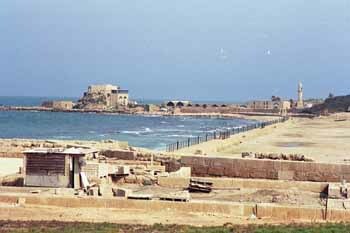 The story – a military man on temporary duty assignment from Rome to Caesarea, a town just north of modern day Netanya on the coast. He is a God-fearing man who receives a vision that someone is going to come and tell him “the rest of the story” (as Paul Harvey would say). Next member of the cast, a good Jewish boy named Peter, living near what is now modern day Greater Tel Aviv. He, too, receives a vision but his was just a bit different. He sees a sheet come down from the sky with VERY unkosher animals and the Voice says, “Peter, kill and eat. What I have made clean is clean”. I can hear it now, like a Seinfeld episode. “Jerry, we’re supposed to eat unkosher stuff? Oy Vey! I’d sooner lose my job at Yankee Stadium then to eat unkosher!” Well, you can let your imagination run wild regarding Peter’s reaction. Whatever the case, Peter is obedient, goes to Caesarea and prepares to speak to Cornelius and his household (apparently quite a large crowd). So, here’s Peter, a gifted Jewish communicator, preaching from his kishkes and before he comes to the punchline, Cornelius says, “Okay, we believe. Let’s get baptized”. I can picture Peter – “Wait, Cornelius, I’m not done yet. I still have some good stuff. How can you be convinced already? God did a marvelous work whereby He fulfilled Cornelius’ spiritual journey by using Peter. How unexpected but how awesome for God to show up in such a spectacular way. Don’t assume who God wants to use to reach someone. It could be YOU! Don’t assume who God wants you to reach. It could be your most distasteful co-worker or neighbor! Don’t assume what God will use to reach them. A Jew who just broke his kosher “fast”! Don’t just sit on your “tuchus” (Yiddish for your back end) when they say “I believe”. Get em baptized, baby! Surrender to God – the Ultimate Networker!